The FBI is cracking down on Chinese scholars coming to the U.S. who are suspected of having links to Chinese intelligence agencies. As many as 30 Chinese professors, many of whom specialize in social sciences and government, say their visas to the U.S. have been canceled or put on administrative review in the past year, reported The New York Times. China is “exploiting the very open research and development environment that we have, which we all revere, but they’re taking advantage of it,” FBI Director Christopher Wray said at a congressional hearing on Feb. 13, 2018. “So one of the things we’re trying to do is view the China threat as not just a whole-of-government threat but a whole-of-society threat on their end, and I think it’s going to take a whole-of-society response by us. 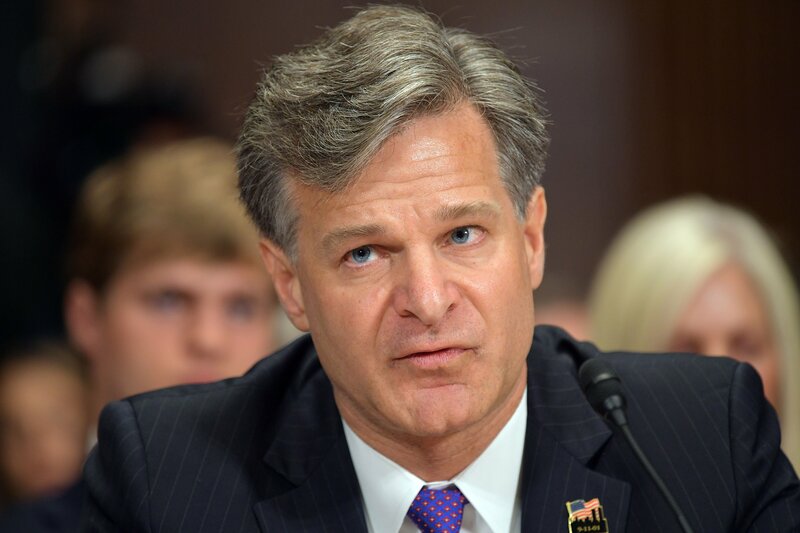 So it’s not just the intelligence community, but it’s raising awareness within our academic sector,” Wray continued according to a Senate report released February. Under President Donald Trump, who has repeatedly painted China as prone to stealing intellectual property from the U.S., Chinese graduate students in sensitive research fields have seen their visas restricted, reported The NYT. Other scholars say their visas have been canceled. “They may feel we know too much about the United States,” said Lu Xiang, who claimed his visa was canceled in 2018. He is a scholar at the Chinese Academy of Social Sciences who has studied at the Center for Strategic and International Studies in Washington, D.C., according to The NYT. His visa was canceled after he attended a conference in the U.S. in January, Wang said. He is the head of the infrastructure-focused Chongyang Institute for Financial Studies in Beijing, according to The NYT. Wang also said he had been given the opportunity to apply for a single-entry visa to the U.S. but had decided not to because the questions were too intrusive. He would have had to fill out his addresses, travel history and phone numbers for the last 15 years, reported The NYT. Meanwhile, the Chinese government funds Confucius Institutes for college students and Confucius Classrooms for K-12 students, according to the Senate report.